The French Army has taken delivery of the first of 53 BvS10 Viking Mark II high-mobility all-terrain vehicles (VHMs) from BAE Systems that are designed to offer high mobility and increased payload capacity. The delivery follows a contract awarded to BAE’s Swedish subsidiary Hagglunds in 2009 by the French Defence Procurement Agency (DGA) for a total of 53 vehicles in troop carrier, command post and logistic vehicle variants. The 7.6m-long, 14t BvS10, equipped with v-shaped hulls on the front and rear of the vehicle, is based on the Bv206S armoured all-terrain tracked carrier and is capable of providing all-round crew protection against small-calibre munitions, rocket-propelled grenades (RPGs) and mines. The vehicle is capable of operating in extreme temperatures ranging from -46°C to +49°C and can accommodate 11 FELIN-equipped soldiers along with their individual and squad weapons and equipment. The air-portable vehicle is equipped with either a 12.7mm or 7.62mm calibre machine gun for self-defence depending upon the variant and can be transported by the C-130 Hercules and C-17 Globemaster III aircraft. 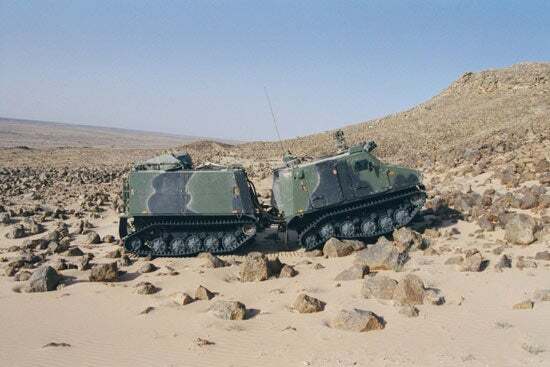 The VHM had recently undergone testing on all kinds of terrain including snow, sand and marshes during an eight-month trial period, and the first batch of vehicles will be used by the French Army for familiarisation training. BAE has partnered with French companies including Panhard and EADS for the contract that has a maximum potential value of €220m, if options to buy an additional 76 vehicles are exercised. Deliveries of the remaining vehicles are scheduled to be completed by the end of next year. The vehicles are also in service with the Dutch and British armed forces.